I had already been eagerly anticipating going to see Jackie before the news broke of John Hurt's death. The passing of the man who brought 1984 to life before my teenage eyes was bound to add a certain poignancy top a film already centred on the former first lady's grief. And, as one has come to expect, despite Hurt looking frail he delivers another fine performance - this time as the priest counselling Jackie. But, obviously, this film isn't about Hurt. This is about Kennedy's widow, and her days following his assassination leading up to his funeral. Front and centre is Natalie Portman, giving one of the finest performances of her career and one that would be destined for Oscar glory if La La Land didn't exist. From the opening scenes of her famous interview with Theodore H White for Life magazine - although, for reasons unclear, the solid Billy Crudup is only credited with playing The Journalist. From a sober start, the film flicks between recreations of a TV special Jackie did, giving a tour of the White House, the assassination, the aftermath, the funeral and the interview. Throughout it all, Portman delivers a performance of near-perfect balance, keeping you fixed and fascinated as Jackie's world falls apart. 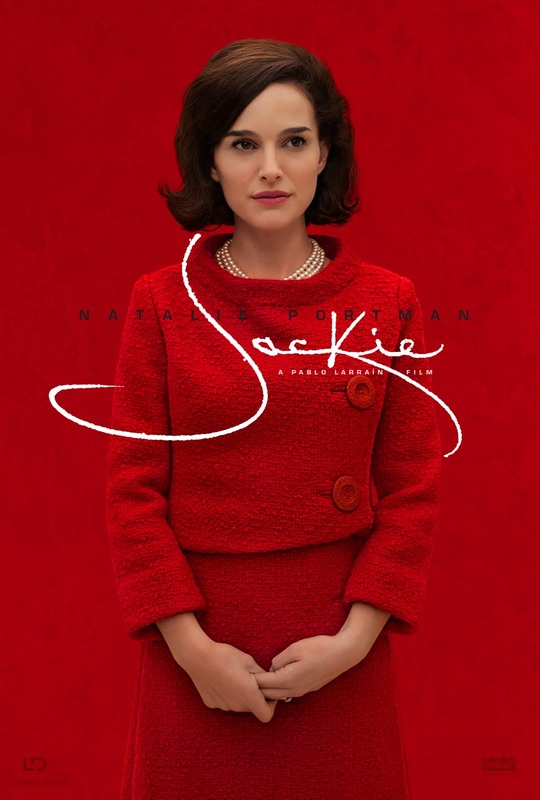 For despite Portman's best efforts, there are a lot of things wrong with Jackie. While the cinematography perfectly recreates the 60s feel, the narrative is neither strong enough nor focused enough to retain your attention. And the slow pacing is a massive problem. Around 90 minutes in, it came as quite a shock to find the film had only been going 40 minutes. From that point on, things dragged. Part of the problem are the interview sections. While two people talking does not always make for a fascinating visual (although it didn't pose any problems for Frost/Nixon), the way the location switches during a seemingly linear narrative is off-putting. The fact The Journalist is only a narrative device anyway raises questions as to why they bothered at all. It shows us nothing extra about Jackie, and the story could just as easily been told without him. The cold, distant feel to the film also doesn't help. Other than Hurt and Crudup, the rest of the cast are merely going through the motions - almost as if they don't know much about who they are portraying. Richard E Grant as a White House staffer and confidant in particular feels like an opportunity lost. But where the film really falls down is the score. A film like this really just needed a subtle, gentle feel - instead we are treated like idiots, with a heavy handed orchestra explaining how we should feel in any given scene by shouting slowly at us. The periods without music are, frankly, a blessed relief. The days after the murder of JFK - an event felt around the world - are fascinating and worthy of telling, especially through the eyes of the person at the centre of it all. But instead of a sensitive, touching tale, we are treated to something more in keeping with the Hallmark channel. Thankfully Portman saves it from being totally terrible.